In order to welcome the new year, Elegomall first to provide a free giveaway to the vape users. By the way, ElegoMall will bring more and more vaping deals to the vape users in the new years. Please stay tuned on ElegoMall.Com. 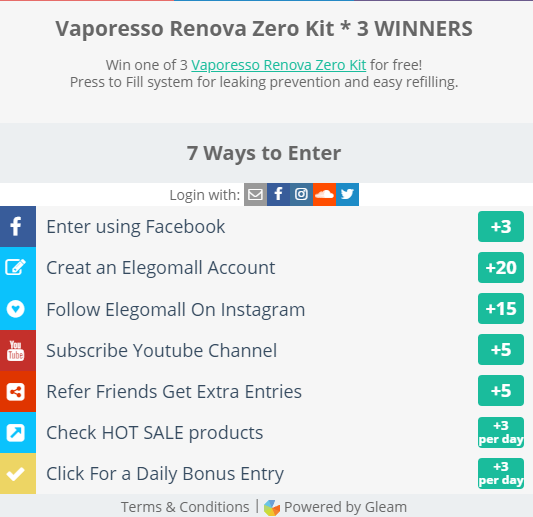 Join to win the free Vaporesso Renova Zero Kit Now. Vaporesso Renova Zero Kit is ultra-compact and portable starter kit designed for vapers on the go or simply looking for an easy to use the device. The Renova Zero is powered by the OMNI Board Mini Chip which features innovative auto temperature control and low liquid detection functions. The Renova Zero features an automatic draw design with no fire or adjustment buttons. 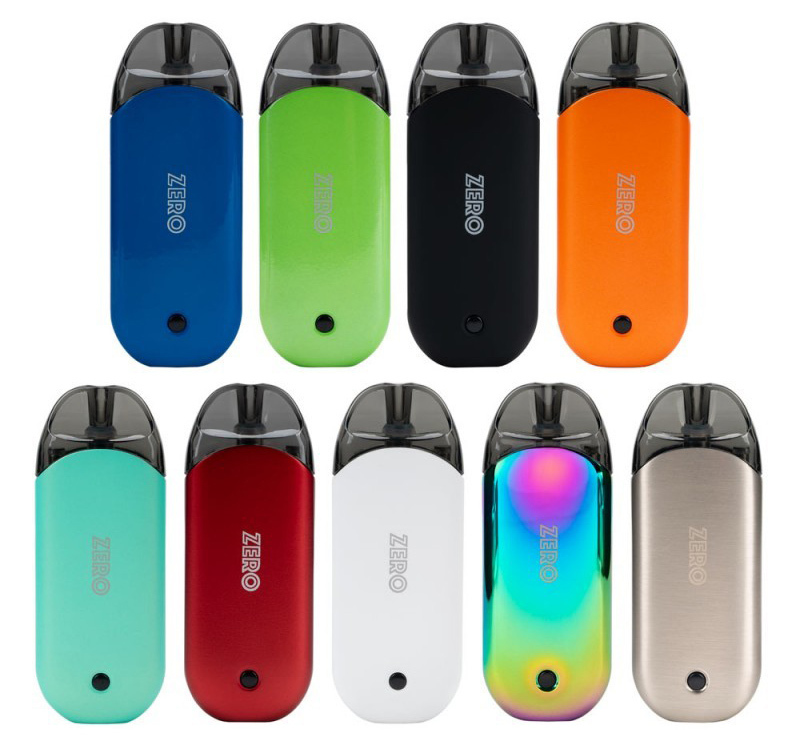 The pod system utilizes a CCELL Coil with ceramic heating elements for a great flavor and extended life. Win the free Vaporesso Renova Zero Kit into your pocket now.